Very quickly, an update for you about all the beauty advent calendars of 2018, including discount codes. I've already done a post here about more than 40 different beauty advent calendars available this year, and that post includes all the spoilers. Here, I'm not going to be giving you spoilers. Instead, you'll find discount codes, along with what is already available now. I'm updating everything in the 40+ calendars post as well, but not everyone goes back to check, so this is all the latest information for you. At one point, I was very unenthused by some of the advent calendars of this year, but that's gone now, and I'm very excited, particularly by some of these. Also, the discount codes make them all the more attractive - I bought Feelunique's advent calendar at some £39 OFF (including a bunch of Guerlain and Inkey List, but I only paid £119 for the whole lot). I'm not counting the ones that are sold out already - Fortnum and Mason has come and gone, as did Harrods, but the latter has been brought back owing to major demand. Scroll for updates and discount codes for the best beauty advent calendars of 2018. All discount codes may be subject to change or expiry based on retailer and brand policies. LookFantastic, apparently, has sold more than 80,000 units so far on preorder. ZOMG. NARS, QVC, OPI, and Space NK are doing exclusive advent calendars for the US this year. Space NK has an advent calendar for the UK as well. 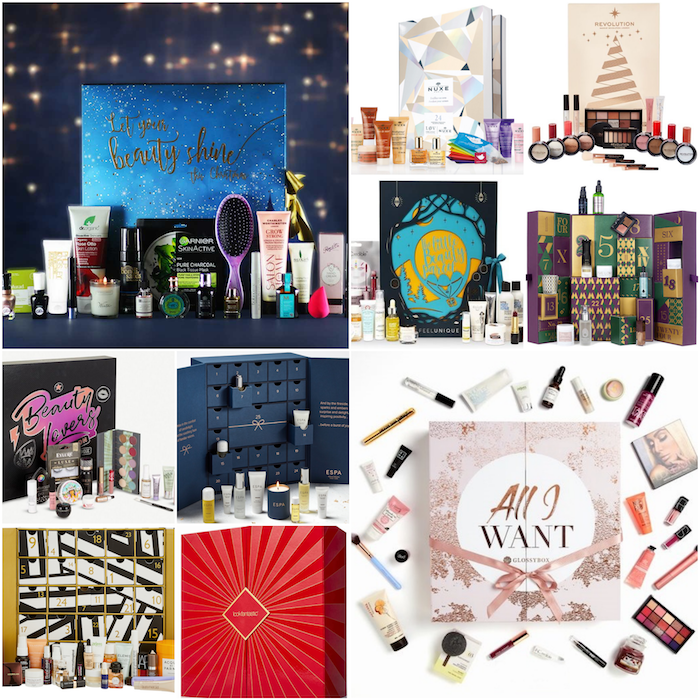 Glossybox's debut advent calendar has a whopping SIXTEEN FULL-SIZED PRODUCTS! Not joking. Only 400 Fortnum and Mason advent calendars were produced; they're already on eBay for more than double the selling price. A Decleor Advent Calendar is sold every eight seconds (until sold out, that is). More updates coming soon, as the vast majority of beauty advent calendars launch in October 2018.